If you’re in need of a carrier to haul your shipment, then look no further. 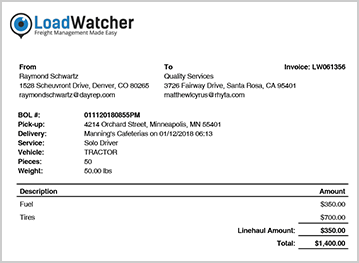 LoadWatcher provides it’s customers the ability to post new shipments allowing fleet owners to search LoadWatcher’s proprietary software platform for freight in the exact area of an empty truck, or in a specific zip code. 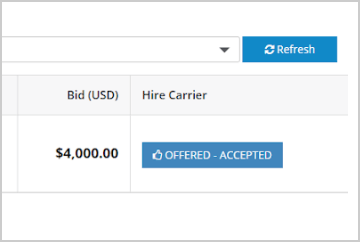 Once carriers bid on a shipment, you will have the ability to scroll through all carrier bids to find the appropriate carrier to haul your product. You will be provided with all the information needed in order to select the right service provider that fits your requirements (total miles driver is to pick up along with the total miles to delivery, bid amount, carriers documents i.e. insurance cert, Authority, W-9 etc.) Once a carrier of choice has identified and selected, all shipment information and updates will be transmitted through the system to both the customer and carrier. The driver is given turn by turn directions to both pick & delivery, the ability to check in/out of each stop so no more questions regarding detention, along with uploading the POD & BOL once delivered. The carrier will also have the ability to send an invoice along with the proper paperwork i.e. POD, BOL, Toll receipts etc. to the customer directly or to your operations teams email for approval. User will need to visit www.loadwatcher.com, on the top right click the blue “Register Now” button. Completely fill in all of your company, driver and vehicle information. (For large fleets 10 + trucks/drivers you can send LoadWatcher customer support team a detailed excel spreadsheet of your drivers and vehicles to [email protected]). Why enter in all that info on your own? Just make our team members do it. 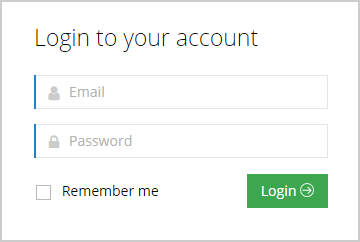 User will be required to sign in at www.loadwatcher.com by clicking on the blue “Sing in” button on the top right of our home page. 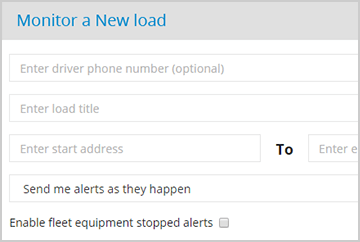 From the dashboard users can click “Post a load” button on the top right to create a new load posting by entering in all the shipments information. 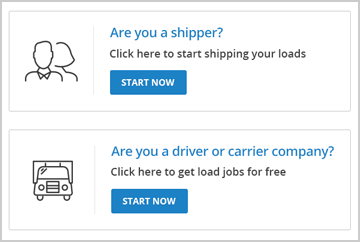 Users have the ability to send each shipment posting to either their company fleet, approved and previously vetted carrier base or the entire LoadWatcher network. 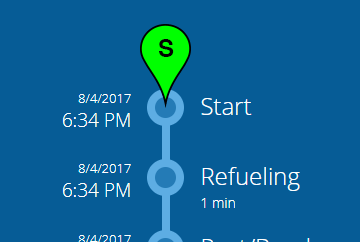 User can select the shipment from either the pin drop on the dashboard map or from the “All Load” page. From there users will have access to all submitted bids for that shipment. User will have access to total miles from start to finish along with the driver’s distance to the pickup. They can scroll through to make sure they select the appropriate carrier to haul their product. If carrier and customer have not worked together prior, they will both have access to the others paperwork in order to vet one another properly. 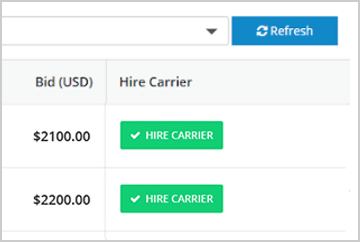 Once user has selected a suitable carriers bid, the carrier will receive a notification that they were awarded the shipment and will need to accept the offer within 20 min or the customer will have the ability to offer that shipment to the next available carrier. Customer will receive an email alerting them once carrier has accepted and started the shipment. Check in/out of the receiver. 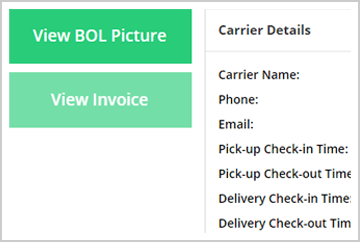 Once delivered carrier will type the POD name and take an image of the BOL to upload through the application to end the shipment. At this point all monitoring will complete. Once shipment has delivered, customer will have access to the shipment documentation at any time. 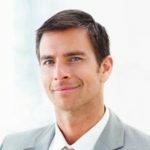 Carriers have the ability to invoice the customer and add any additional fees directly from their device. LoadWatcher.com allows our entire team the ability to locate any carrier from one dashboard.